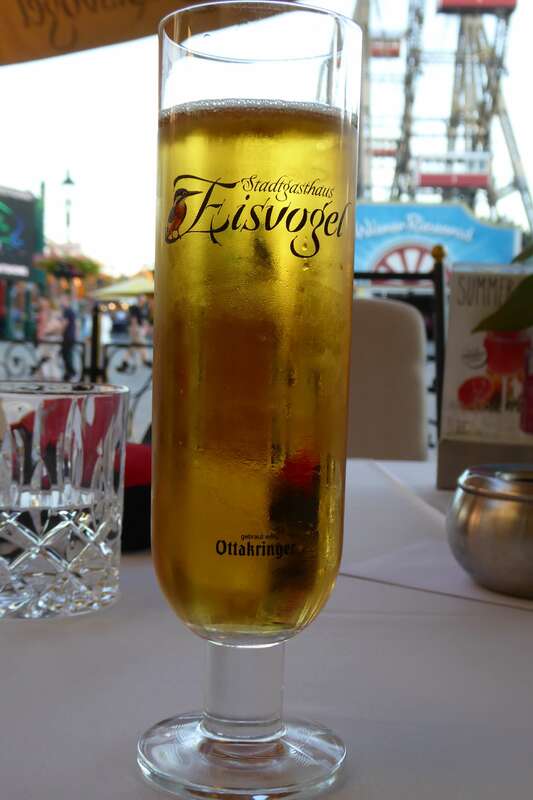 Eisvogel Restaurant, Prater, Vienna – its Unfair to label the food average! 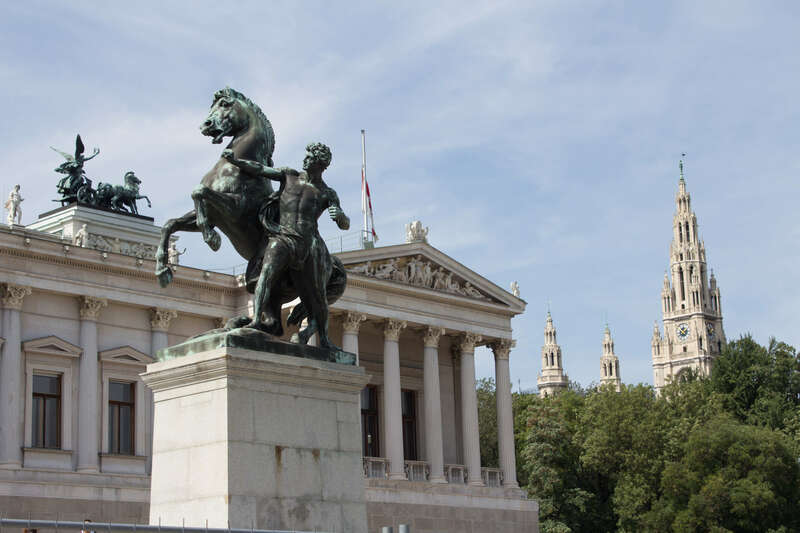 Much of Vienna has a tranquil, quality feel about it. 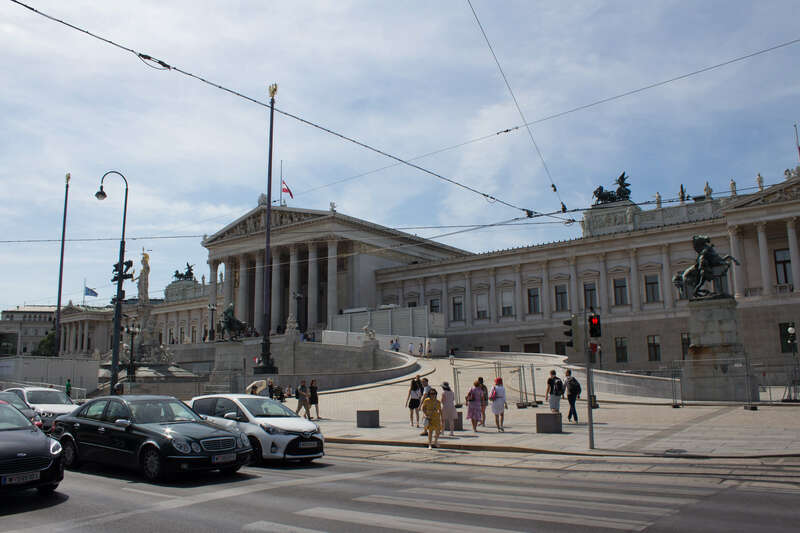 As you walk the streets you are struck by the beautiful and substantial architecture from a period when Mozart and other famous musicians frequented the inner sanctums of these magnificent palaces and courts. 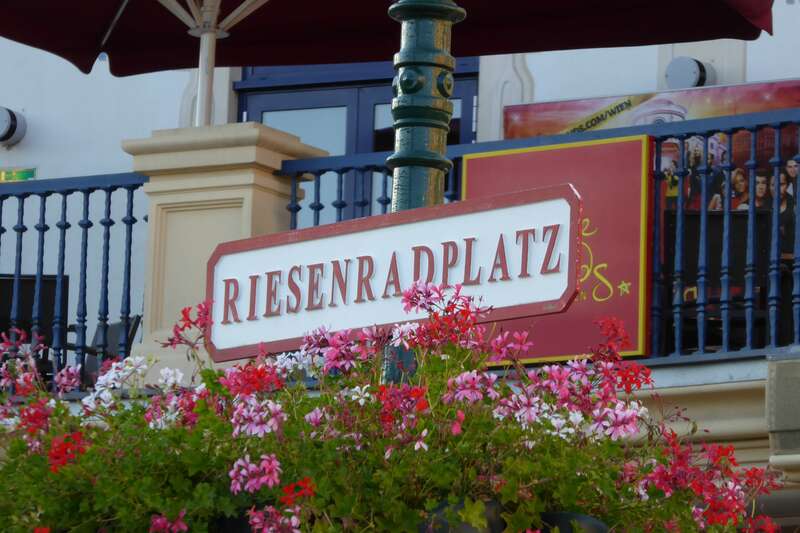 Vienna we have discovered offers everything from the rose gardens opposite a very Grand Parliament building, palaces, buildings of distinction, and history, through to the most impressive fashion brands in the commercial areas of the immaculately kept streets. So when we decided to visit the most famous Ferris Wheel in the world opposite the Eisvogel restaurant in the district of Prater, the permanent amusement park and wide park areas, which were initially the emperors private hunting grounds and then later opened to the public, (located on the U2 underground route), we had no idea what to expect but we couldn’t possibly miss this famous landmark. 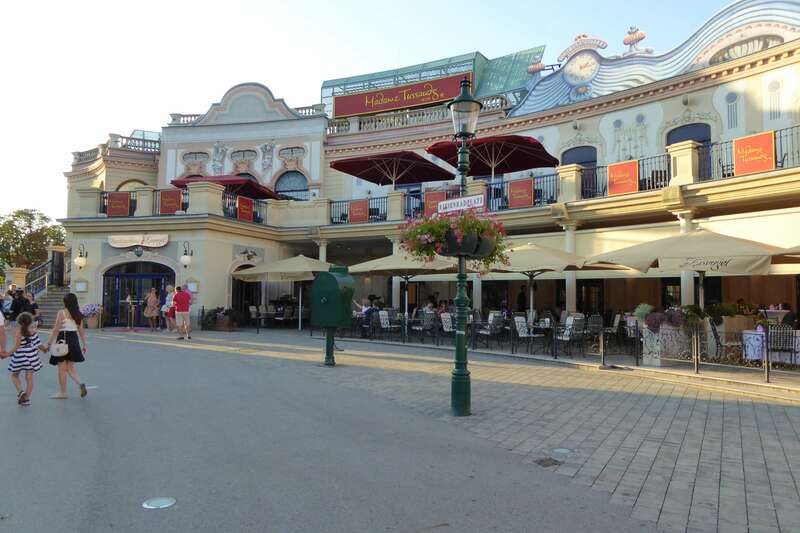 As we stepped off the efficient, frequent and spotless underground train network at Prater we just followed the crowds. Woah! 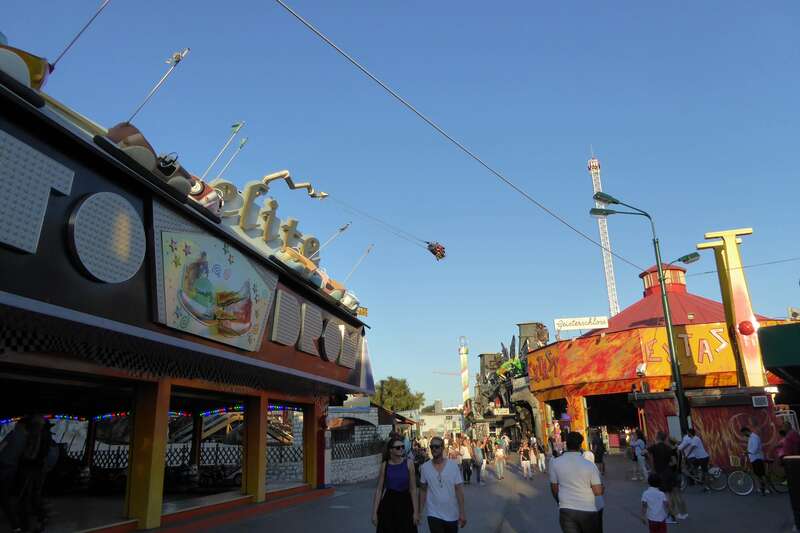 I wasn’t expecting a kind of fun fair with merry go rounds, bumper cars, even Madam Tussauds! 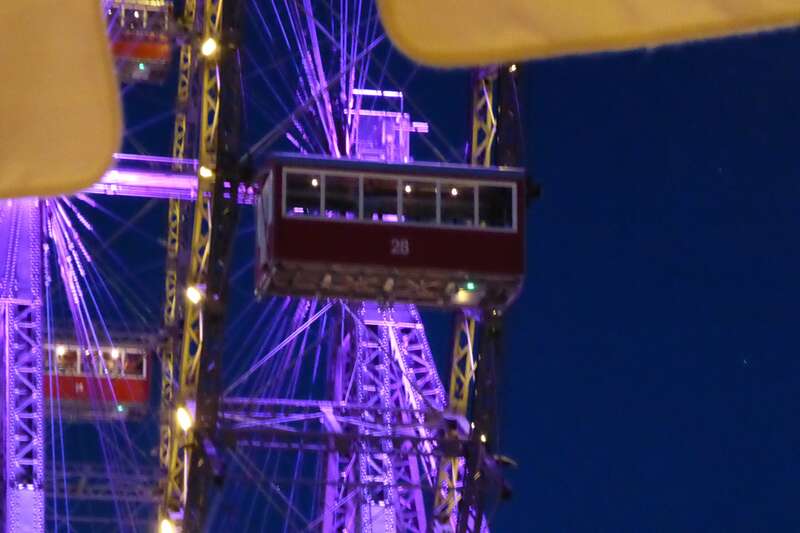 (I rewatched a clip from the famous film from 1945 called The Third Man showing a scene from the ferris wheel and actually you notice a number of fair rides below, so this fairground or amusement park as locals describe it, has been here for a long time! I just had not noticed this before). We pottered around to see a hive of activity visiting rides to make your eyes water, your stomach knot and the adrenaline rush! There was the haunted house, log flume, rollercoasters and much much more. 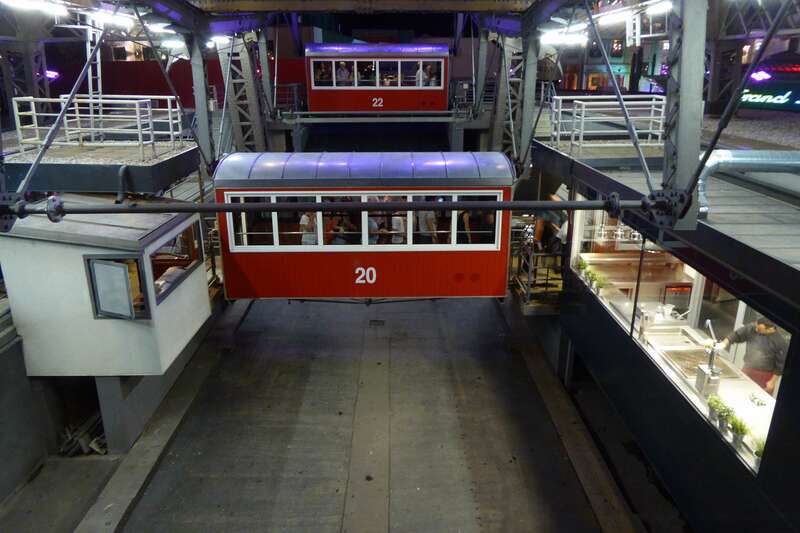 This is not Disneyworld, nor a travelling fair .. it’s a distinctive attraction in a stunning city that takes inspiration from having the worlds oldest and most famous Ferris wheel in its midst. 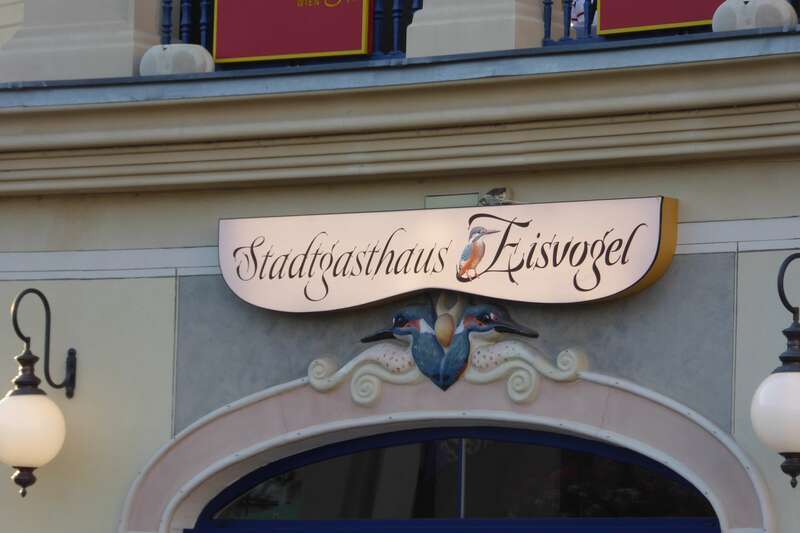 Dinner was arranged at the Eisvogel a restaurant at first sight displaced by its very setting near to the entrance to Prater. A reservation guarantees a front line terrace setting with a cloth covered table, whilst walkin guests just get a plain table wherever available in this huge restaurant with enough room to seat a large corporate event. 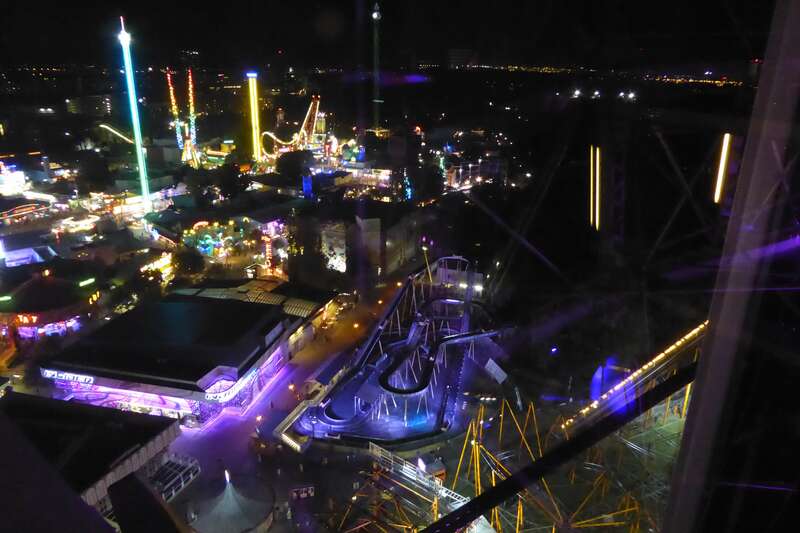 We decided to book the Gourmet and romantic dinner at the Eisvogel Restaurant which consisted of two courses first on the terrace, followed by dessert and champagne on the Ferris Wheel. The set menu was limited with choice and to be honest despite the enthusiastic and attentive Simon and colleagues I was not expecting too much. The bread was accompanied by a tomato and a plain butter. But the excellent lager shandy gave hope. The chef sent out a couple of tasters from the kitchen. They were really tasty. And our starters … well they made me sit up and take note! 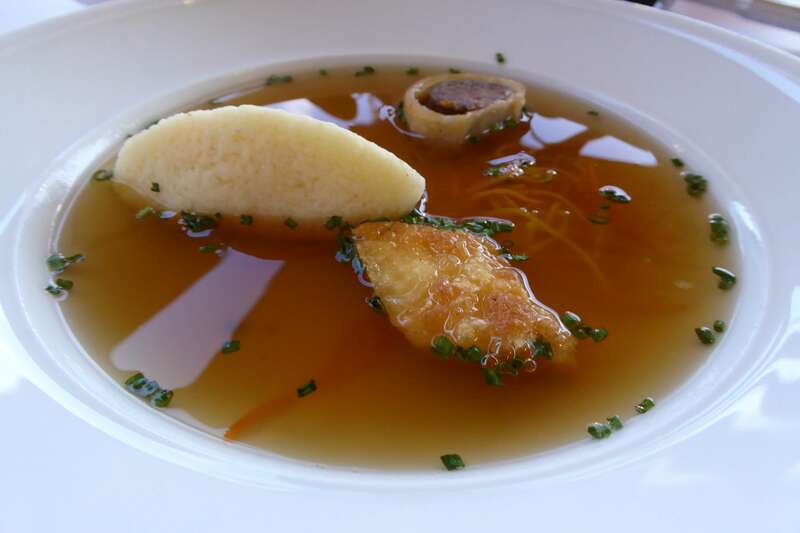 A beef consommé that was light and flavoursome. 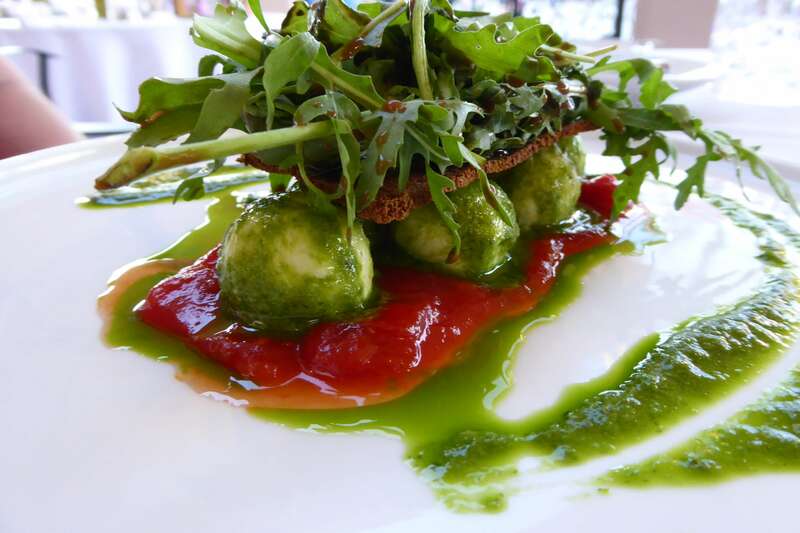 The Buffalo tomato and pesto starter with small dumplings was fresh, chilled and well presented. Not what I was expecting at all. The Eisvogel is really quite a surprise, with Simon telling us that he has come from the cruise ships. 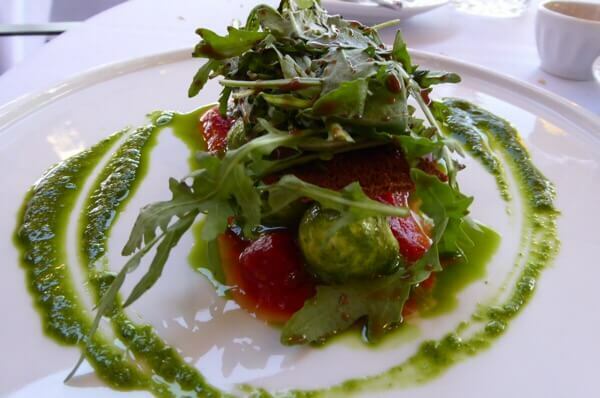 The main courses were not rushed as in so many restaurants. The main courses were a surprise too … The Sunday Roast served on any day! 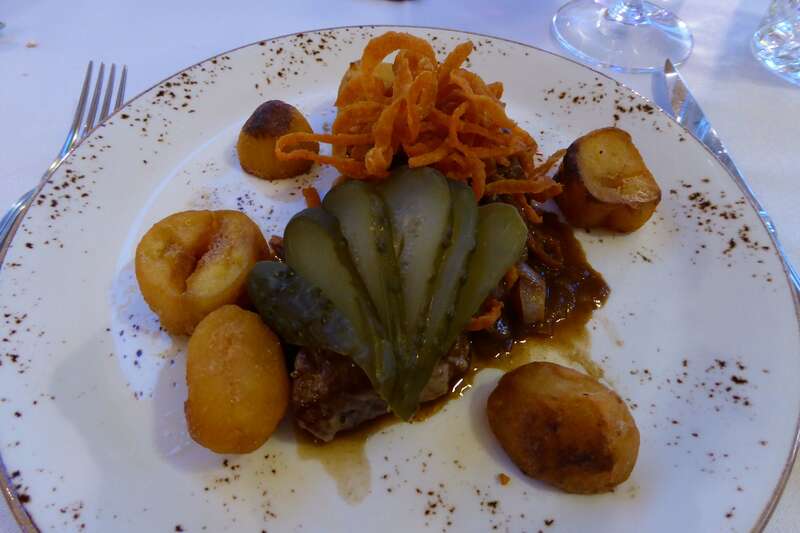 This was more of a tender steak with roast potatoes and vegetables. It tasted good but the name and the presentation was less than was deserved. The other main was a baked salmon, cooked to perfection, light and flavoursome, but again the presentation could have been so much better. 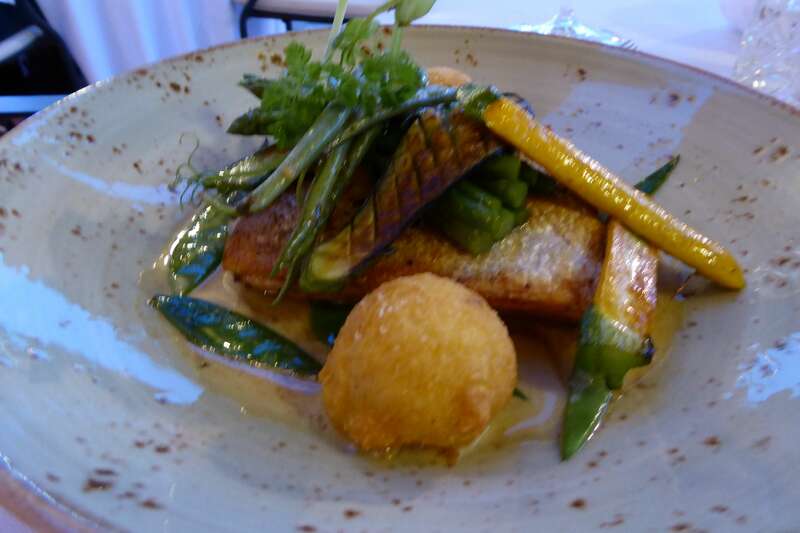 This restaurant really tries to deliver a quality service and style well above its weight, but the food is full of flavour and the brigade of staff clearly have the skill to lift its game plan. The menu presented to us was as if done on the cheap, with little or no imaginative script and a piece of paper slipped into a cover that looked like it was a test run. 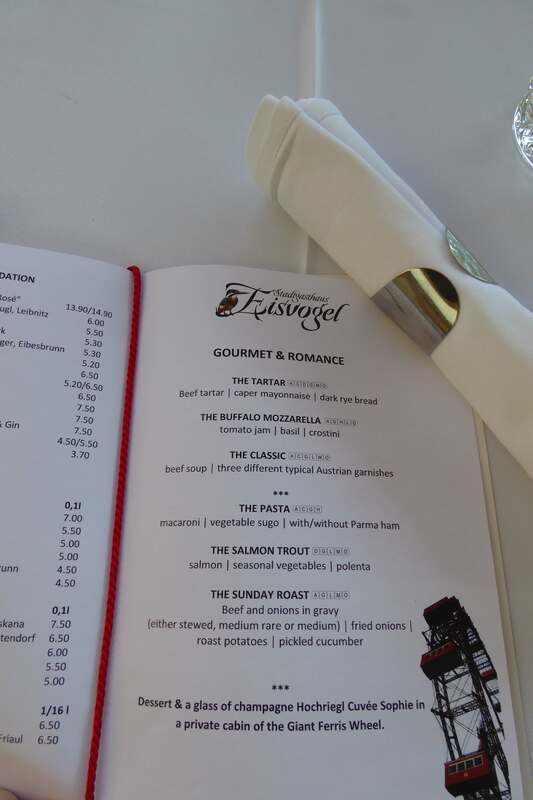 If the Eisvogel are to lift its standards further they need to address the choices offering more fish, meat/poultry and vegetarian option. Out of six dishes offered (three starters and three main) the word beef appears in three of the dishes! I did see the main menu and the difference was there .. so for the gourmet and romantic evening I think perhaps they would do well to stick to the à la carté choices. That said we were not disappointed with the meal at all, it was well cooked, generally well presented and the service a little over attentive, but pleasant and caring. After a short rest, we walked over to the famous Ferris wheel. Despite the queues, Simon took us via a side door to by pass the long line of people waiting for the next ride. We watched as both ends of the cabin opened, guests walked off one side as the new guests got on from the other. 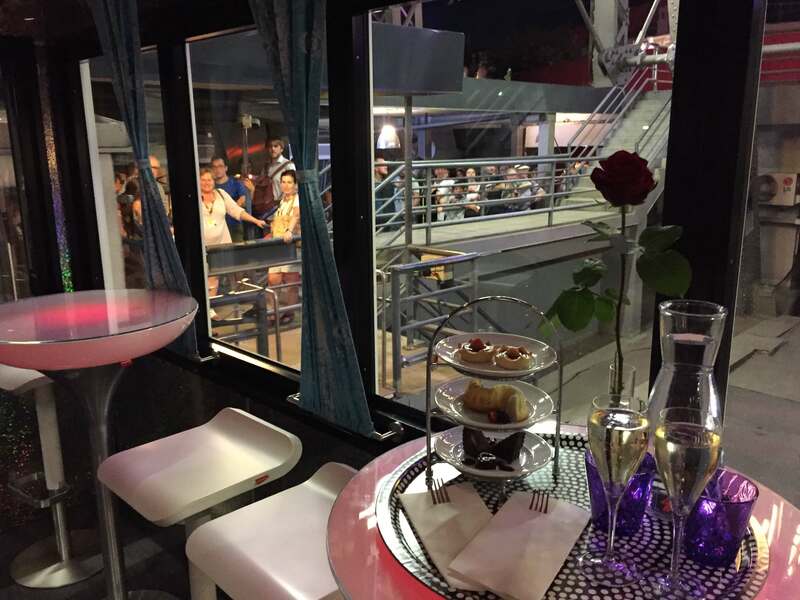 The next cabin was very different and as we watched we saw staff busily preparing it with a tiered ring of plated food, champagne and a rose. We were whisked onboard our own cabin and off we went. This was a very romantic setting indeed, but also a little like being in a glass fish bowl. 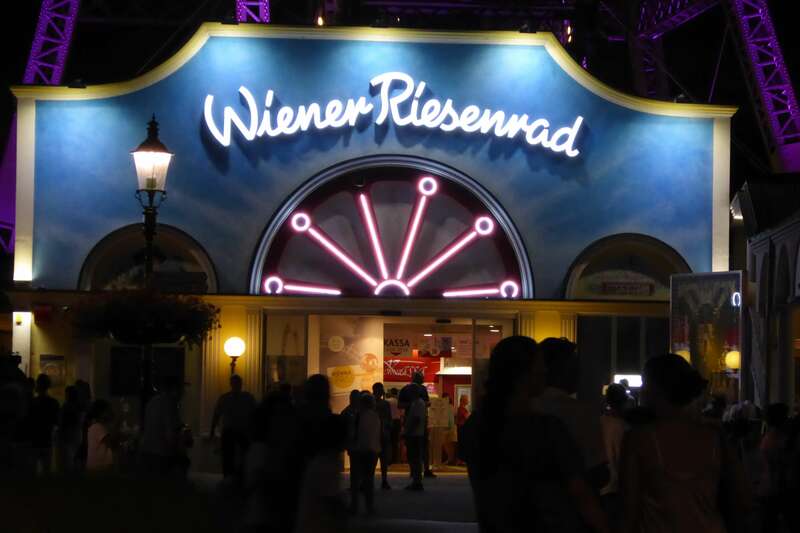 This was without doubt the icing on the cake with spectacular illuminated views over the fair and surrounding Vienna. I was in awe that we were the only couple in the cabin whilst others were packed into the cabins in large groups. Sadly the dessert was not great, nor the champagne, but the experience was wonderful, no denying that we had big smiles on our faces. 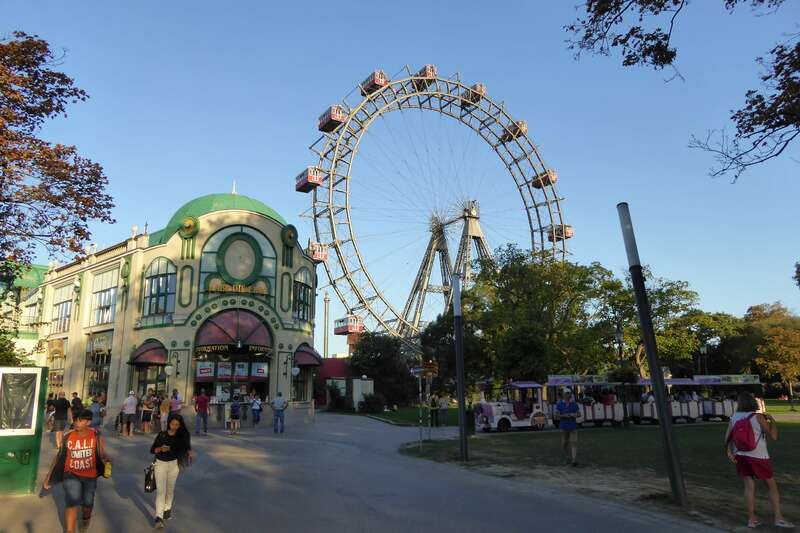 If your visiting Vienna for a romantic break the Eisvogel and the Ferris Wheel Gourmet and Romantic experience should be in your wish list. It’s surreal, could be described as tacky, but actually we were made to feel like a couple on the A list and felt it was worth every euro! 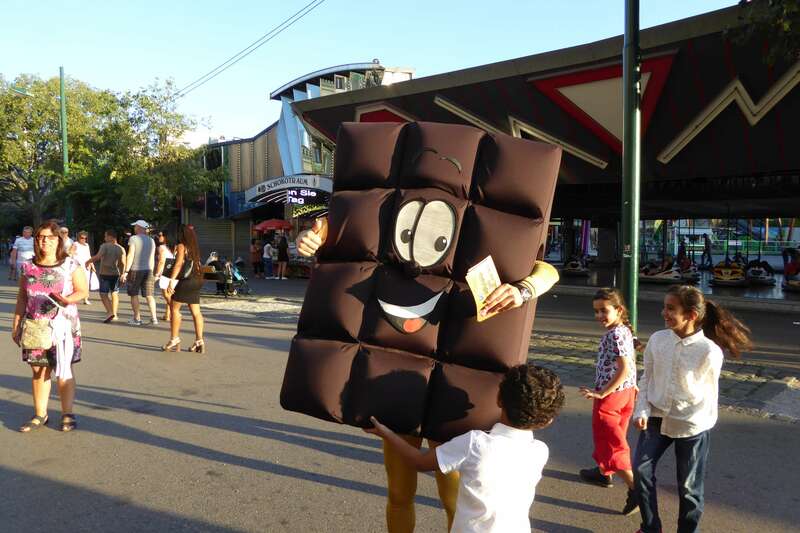 To book just visit the Ferris Wheel Gourmet and Romantic experience.